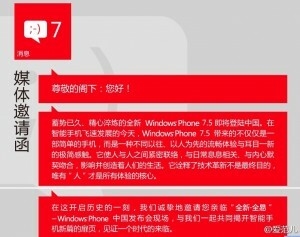 Microsoft China has sent out invitations for corresponding news outlets to check out the official landing of Windows Phone 7.5 Tango on March 21, 2012. This official Microsoft event will not only mark the arrival of Windows Phone 7.5 Tango in China, but also the overall arrival of the Windows Phone in the Chinese market. As detailed in the invitation, the event will take place in Beijing. 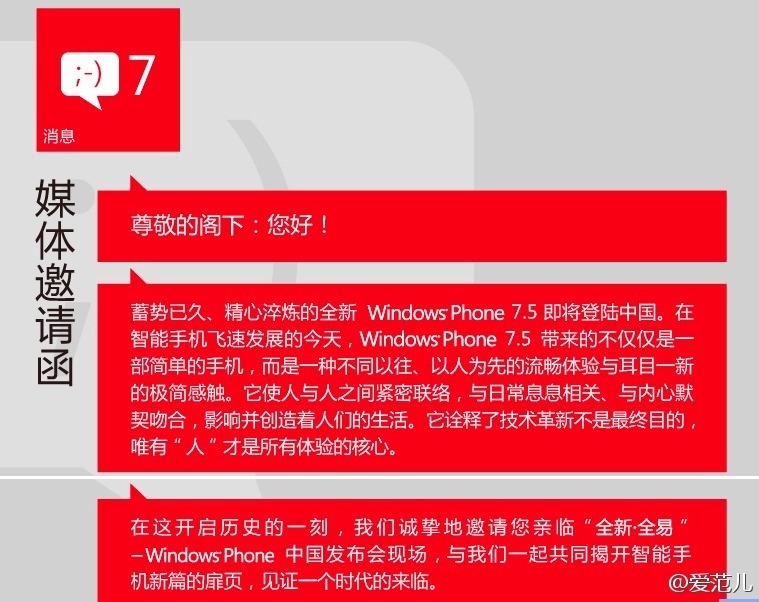 Not much else is detailed in the invitation, we do expect the latest Windows Phone 7.5 devices to be present. Hopefully, the recently announced Nokia lineup and HTC Triumph will make a preview appearance as well. Nokia does have their own China welcoming event planned for March 28, as reported. HTC will most likely hold their own Triumph welcome party in their new Beijing store as soon as it retails. Get ready to party, China!